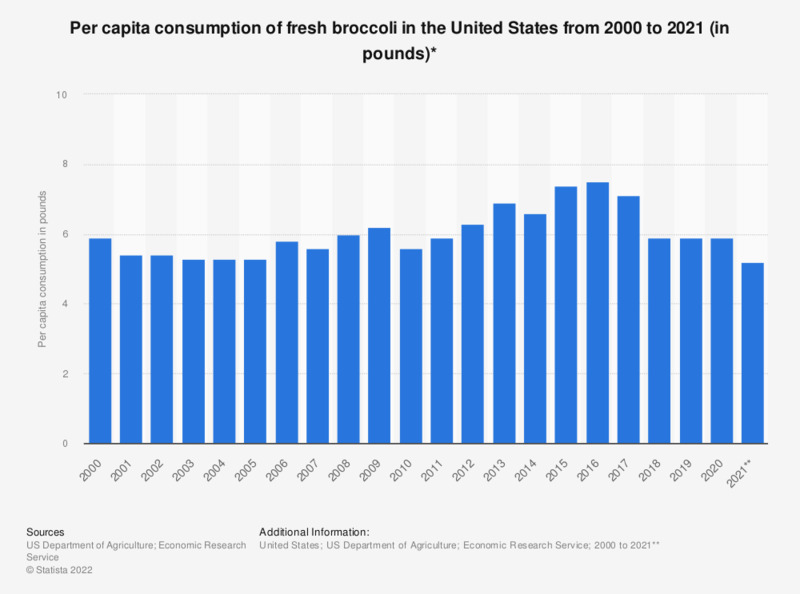 The timeline presents the per capita consumption of fresh broccoli in the United States from 2000 to 2017. According to the report, the U.S. per capita consumption of fresh broccoli amounted to approximately 7.1 pounds in 2017. * Based on retail weight. All per capita consumption figures are calculated using resident population plus the Armed Forces overseas.